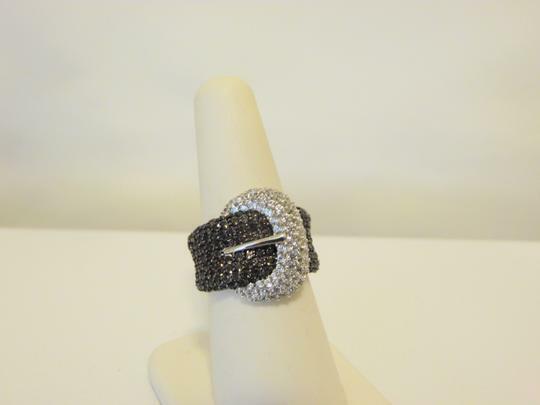 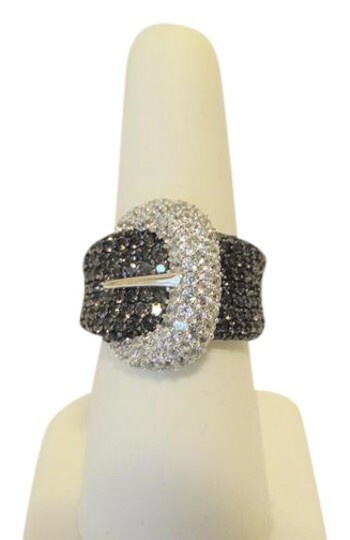 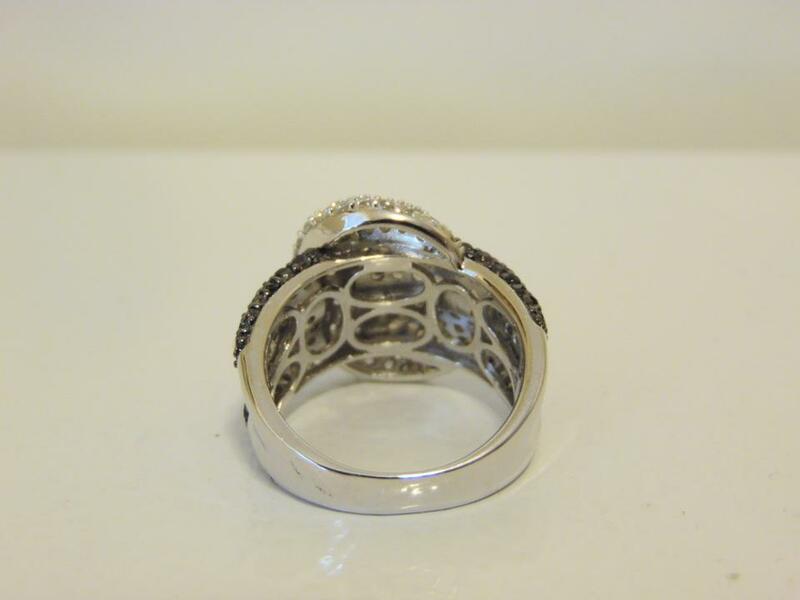 Victoria Wieck 3.66ctw Gemstone and White Zircon "Buckle" Sterling Silver Ring. 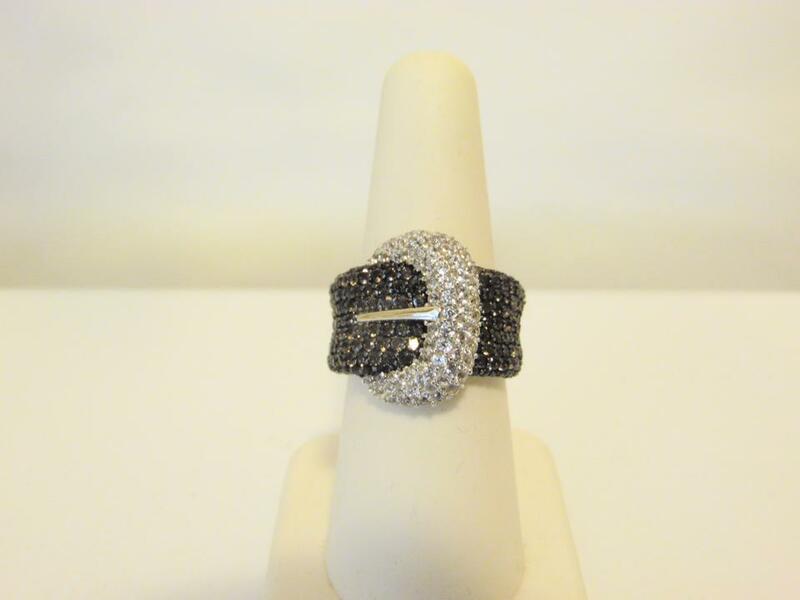 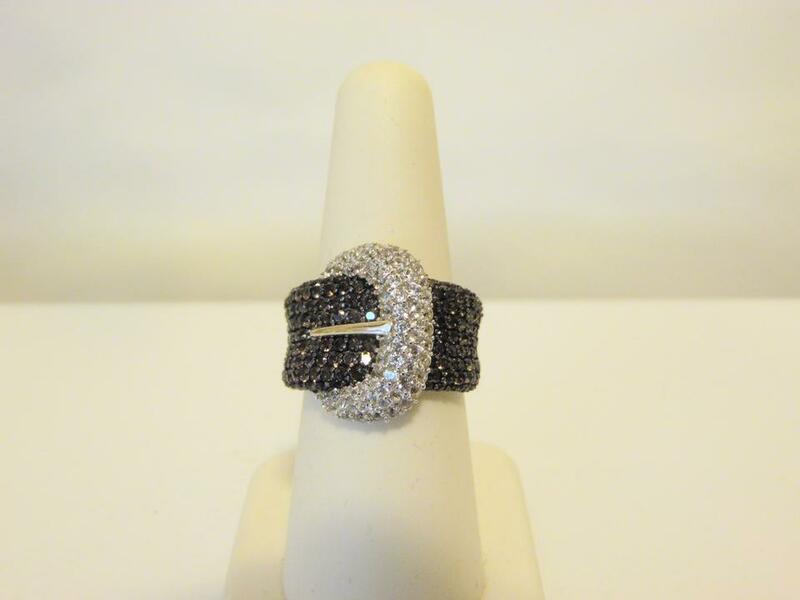 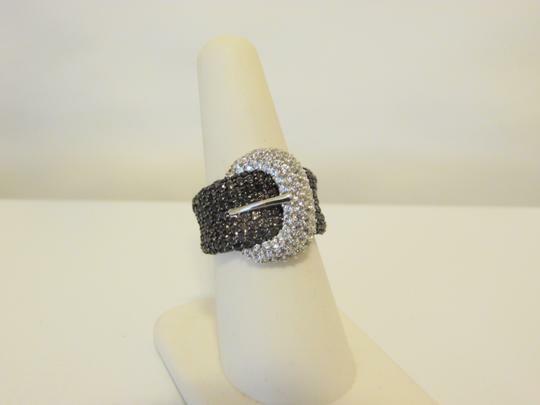 Design Information: Ring features a buckle design with pave-set, round white zircons on the "buckle" and pave-set, round gemstones on the "band". 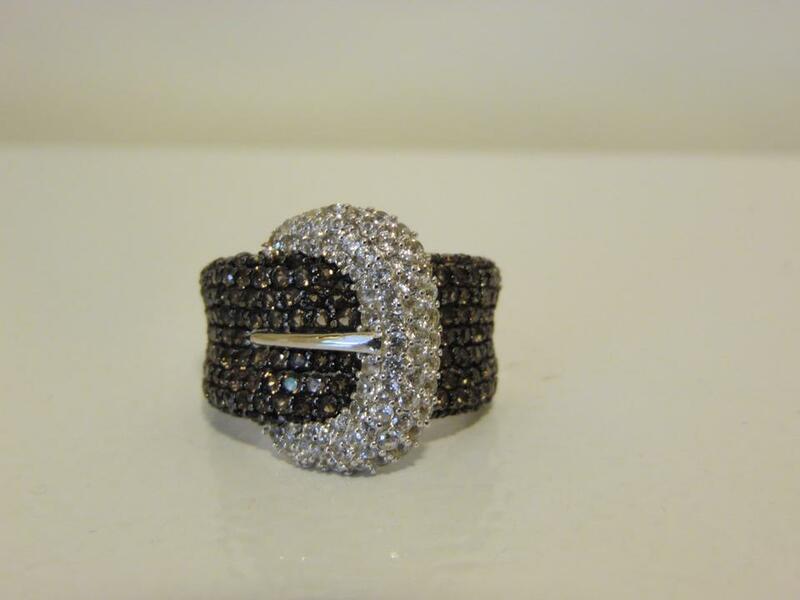 Measurements: Approx. 3/4"L x 13/16"W x 13/16"H; shank 1/8"W; Metal Type: Sterling Silver; Metal Color: White; Metal Stamp: .925; Plating: Rhodium and black rhodium; Finish: Polished; Additional Features: Tapered shank; Stone Information: Total Carat Weight: 3.66ct; Smoky Quartz: Round (1.25mm, 1.5mm); 2.33ct; mined in Brazil; White Zircon: Round (1.25mm, 1.5mm); 1.33ct; mined in Cambodia.